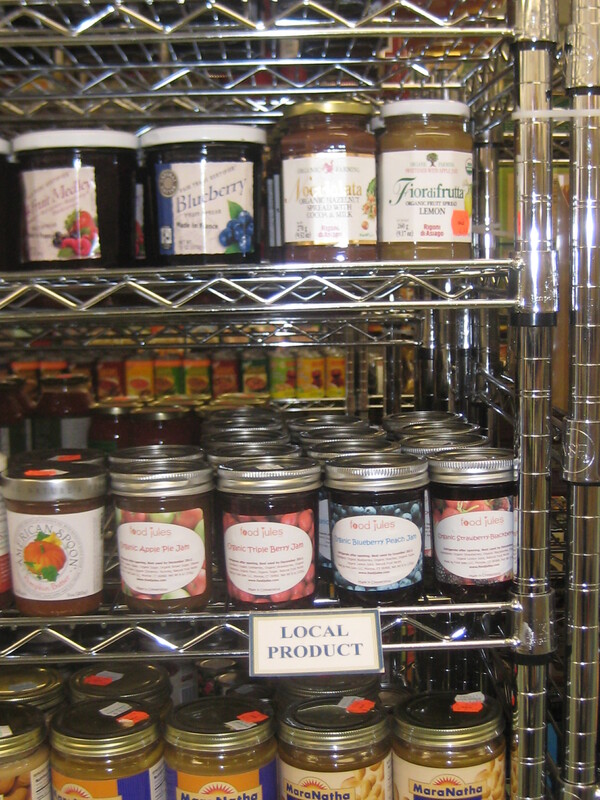 Food Jules Organic Jams, Hot Fudge Sauce, Granola and Baked Goodies are available at Food Works and Purdy Hill Bakery in Monroe, CT. Cooking classes available for kids and teens at Edith Wheeler Memorial Library in Monroe, Stepney Elementary, Girl and Boy Scout Troops, Minds in Motion Workshops and Birthday Parties…. coming soon to Fawn Hollow Elementary Arts & Imagination in Winter 2012. Stop over at Food Works in Monroe tomorrow morning for your After Thanksgiving Breakfast. 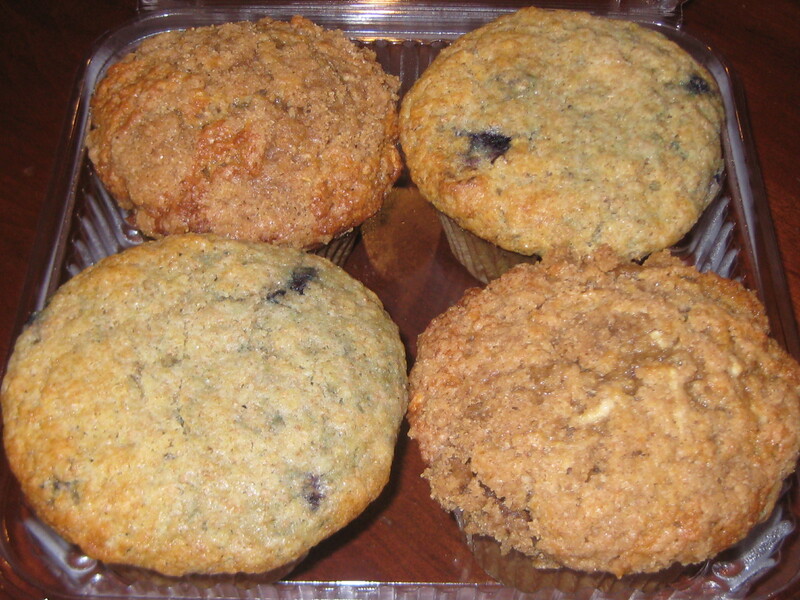 Food Jules is featuring all organic, whole-grain APPLE PIE MUFFINS, BLUEBERRY LEMON MUFFINS and BANANA PECAN BREAD. Let’s just say…. these baked goodies are fresh, moist and simply delicioso! I am having an extremely difficult time breathing right now, just thinking about the holidays. Thanksgiving is just a couple days away, it is also my nephew’s first birthday (he’s just a couple weeks younger then Julian) and I don’t know if we can celebrate this holiday with our family. This is so hard and so sad but I just can’t bring myself to decide… and every time I think about it, my heart starts panicking and my breathes become more difficult. I’ve heard from others that have lost someone in their lives, that birthdays and holidays are the most difficult. I get it now! I really get it. I think I am a very strong person, but I don’t know if I can deal with the holidays, surrounded by family and friends, pretending to be happy when inside I am falling apart and wishing my immediate family (the five of us) was together again. It’s a shame really, I used to love this time of year. It was always so much fun being home with Mike and the kids , hosting holiday parties, getting together with family and friends, cooking, baking, holiday shopping etc. But, right now, I just can’t do it, can’t even think about it and to tell you the truth, I don’t know if I will be able to do it as the time gets closer. So, what happens now? How did all this happen? Why did it happen? It makes me so very angry that this has happened and that I have to work so very hard at trying to live life again. It is a constant struggle! Food Jules is honored to announce that we will be teaching a kids cooking workshop at this year’s annual Minds in Motion program, sponsored by The Connecticut Association for the Gifted.This year’s workshops will be held at Masuk High School in Monroe, CT on Saturday, December 3rd from 12:30-4:00pm. Minds in Motion is designed to enrich and encourage curious and enthusiastic students, stimulating young minds and helping kids develop interest in a variety of topics. Food Jules will be hosting two cooking workshops for grade 2-3. Sign up online. Registration ends on November 22nd. 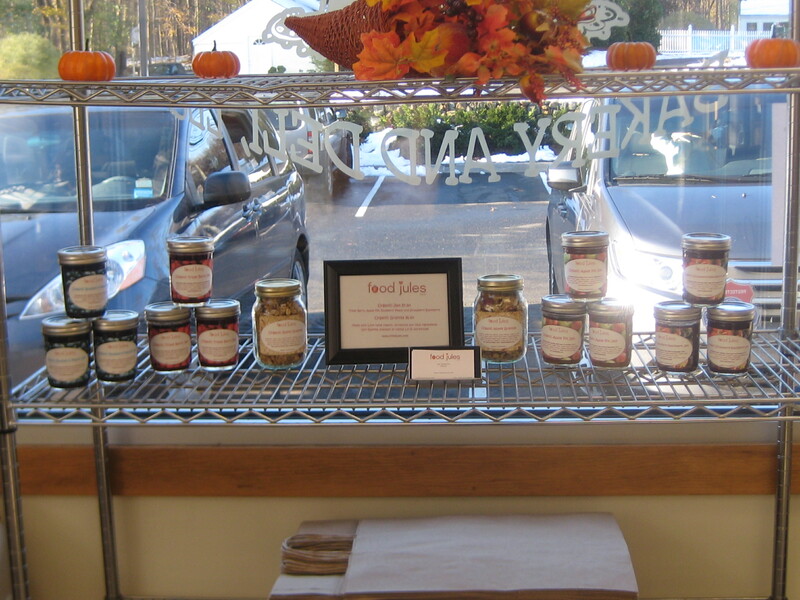 I just dropped off some yummy freshly baked goodies at Food works in Monroe! Today’s specials are Apple Pie Crumb Muffins, Double Chocolate Muffins and Pumpkin Pecan Scones! The chocolate muffins smelled so good coming out of the oven that I just had to eat one!. It melted inside my mouth. It was so sweet and so moist, delish! I made smaller muffins to donate to our Stepney Bingo Night tonight too. Should be lots of fun. A family event! 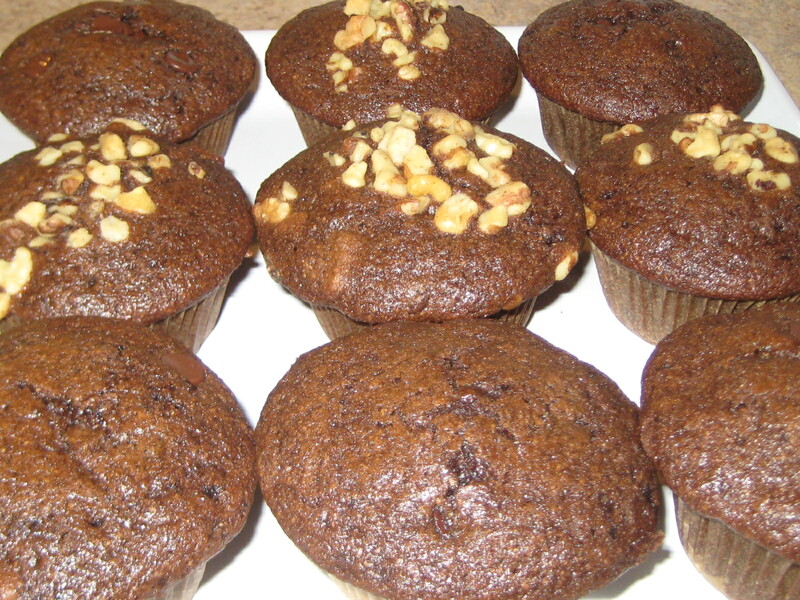 Chocolate Muffins at Food works are nut free! 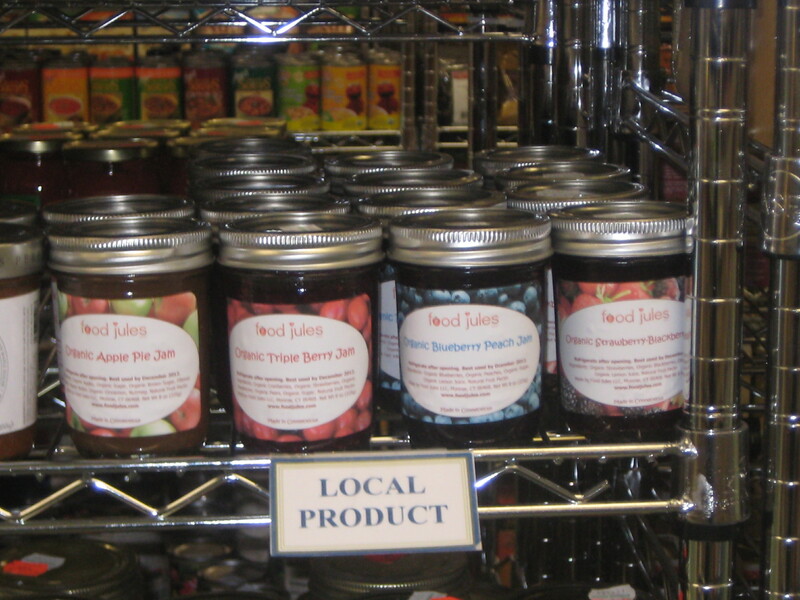 You can stop over at Food works anytime to pick up your sweet breakfast treats! Yesterday, I was back in the classroom with my amazing students from our Arts & Imagination Food Jules Cooking Class. It’s been a couple weeks since we’ve been together with the week off due to the snowstorm and last Tuesday being Julian’s birthday. It was so refreshing to be back in the classroom and as soon as I saw the kids coming in to start our session, I was so excited to see them. I had missed my kids! We continued our “Nutritious and Delicious” theme with healthy and great tasting snacks. My very talented and sweet students made fresh Hummus, which we used for our Hummus and Cucumber Sandwiches, Apple and Cheddar Mini-Quiches, Granola for our Yogurt Parfaits and finally, a slightly sweet yet good for you, Pumpkin Pecan Scones. Yes, I always include a muffin or scone as part of a snack mix! Yet again, everything was delicious and they ate it all up! Our scone team even made two batches so that they would have some to take home and share with their families! The students are all so considerate, always packing up some extras (if there are any) or saving some from their own plates, so they can bring home to share with their brothers, sisters, mothers and/or fathers. It is the sweetest thing ever! They are so proud of their hard work and are excited to share it with their loved ones. Us, adults, can learn a lot from our children! I’m looking forward to next week…. when we cook Nutritious and Delicious Dinner! Until then, listen to your kids, appreciate all of their hard work (it’s not easy being a kid or an adult for that matter! ), all of their accomplishments, their generosity, their sweetness, their innocence and most of all, enjoy their unconditional love! Oh my…. 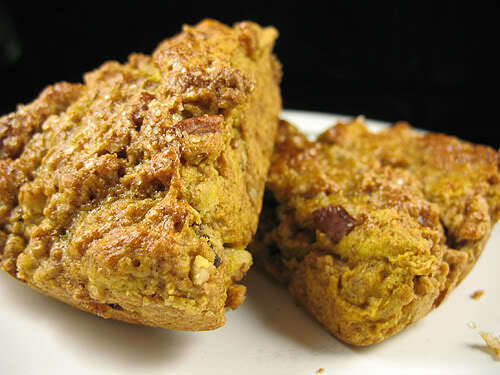 these Pumpkin Pecan Scones are DELISH. Really, they are just a perfect blend of sweetness and crunchiness. Let me tell you the story. I’ve been experimenting A LOT with pureed pumpkin. I’ve made ravioli, muffins, bread, pie, cheesecake, waffles etc. Well, it’s pumpkin season and one of my classes at the library was all about pumpkins… so I wanted to get creative. Anyway, a couple weeks back, while I was shopping at Whole Foods, I picked up a Pumpkin Pecan Scone. I loved it and decided that I just had to learn how to make it. 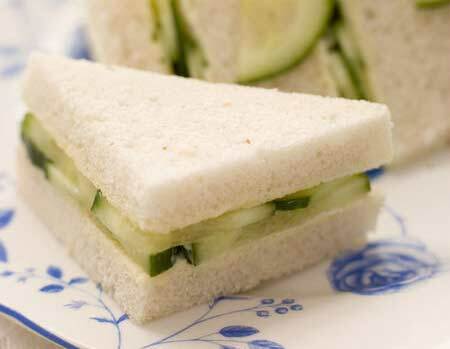 As many of you know or have learned about me, is that I love to eat scones, muffins and breads. They are “healthier” then other sweet treats, since I make them low in sugar and substitute half the all-purpose flour with whole wheat flour, yet give that sweet satisfaction. Scones have become one of my favorites and I have learned how to make a few different varieties, even though the Maple Oatmeal Scone that started my whole “love of scones” is still my favorite, until today! These pumpkin scones top the chart. You just have to try and make them. I rate them EXCEPTIONAL! Combine all dry ingredients in large bowl: flour, brown sugar, pecans, cinnamon, ginger, cloves, nutmeg, baking powder, baking soda and salt. Cut butter into small cubes and add to flour mixture. 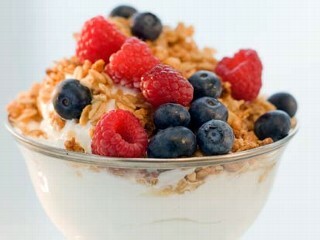 Combine with a pastry blender or your hands until you have a crumbly mixture. In separate bowl, whisk all wet ingredients: buttermilk, pumpkin puree and vanilla. Add to dry ingredients and combine until moistened. On flour surface, form dough into square shape about 6” wide. Cut dough into triangles and place on parchment lined baking sheet. In small dish, whisk egg yolk with a dash of water or milk. Brush tops of scones with egg wash and sprinkle with organic sugar. Join us in our Cookbook Challenge and send us your grade!